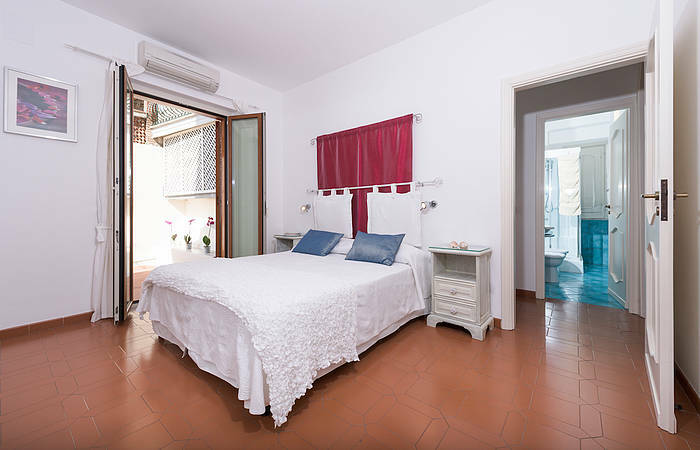 A gorgeous, self-catering two bedroom accommodation with two private outdoor spaces (one with a BBQ) and sea views located in our complex with infinity pool. 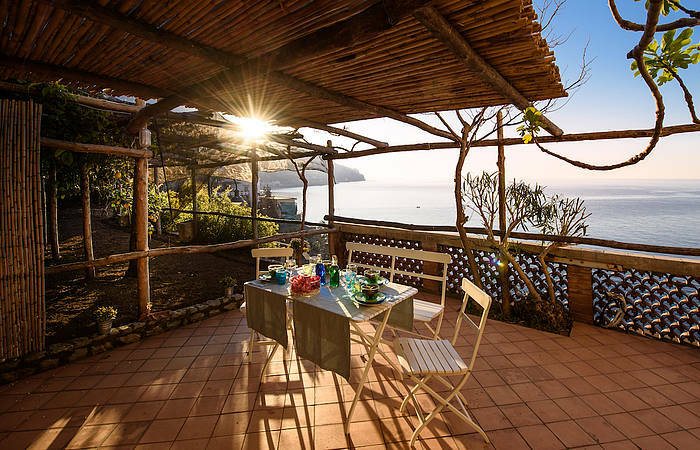 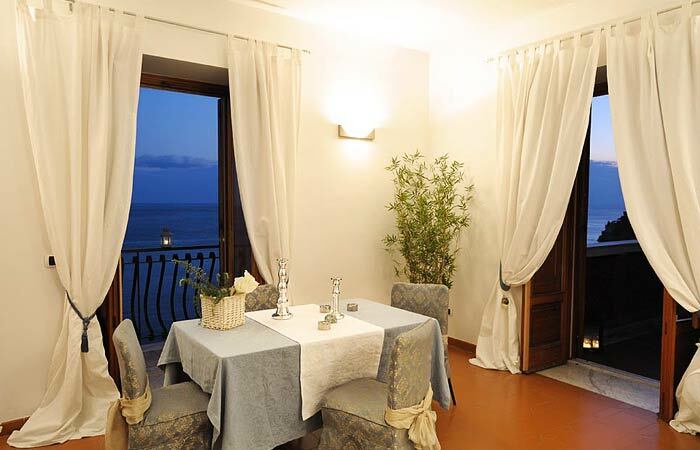 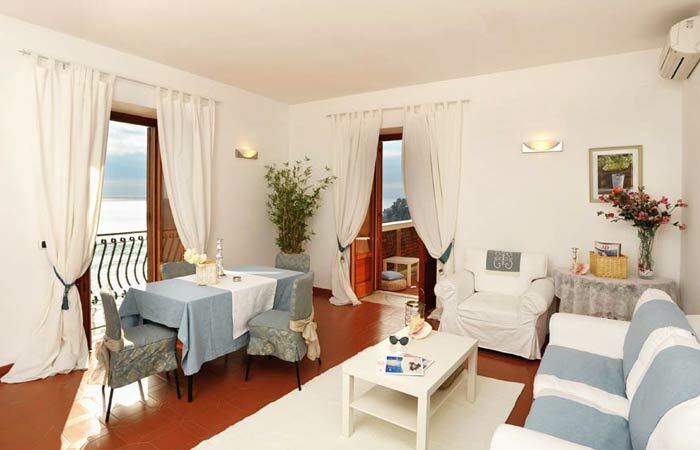 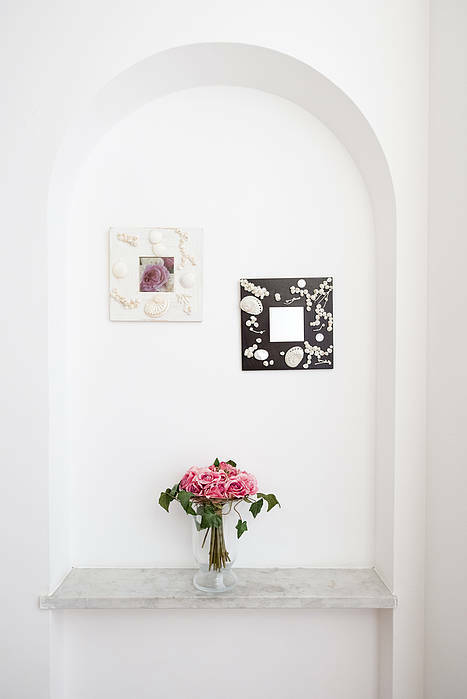 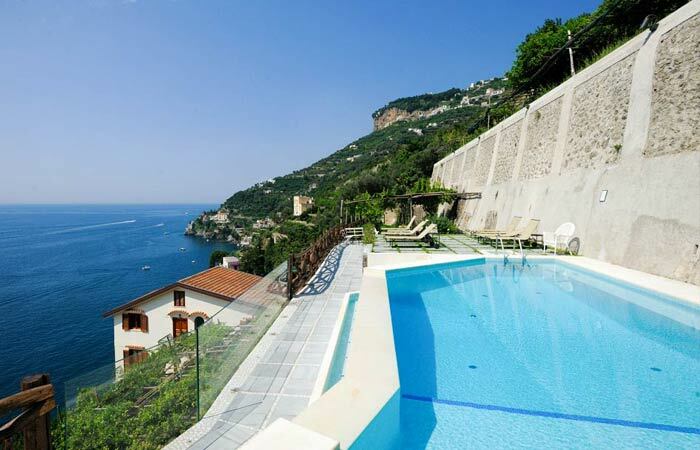 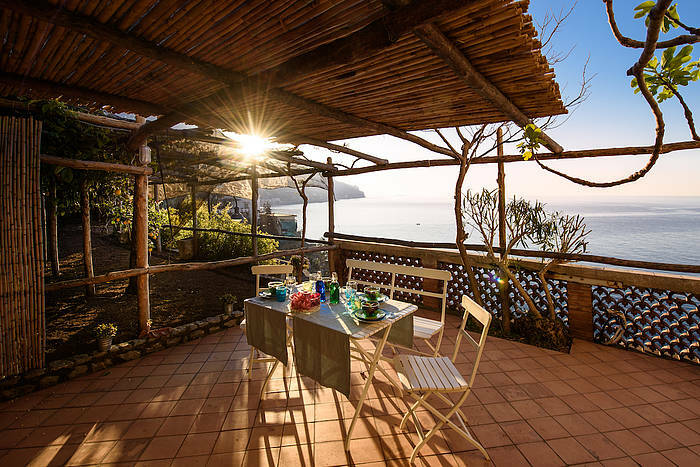 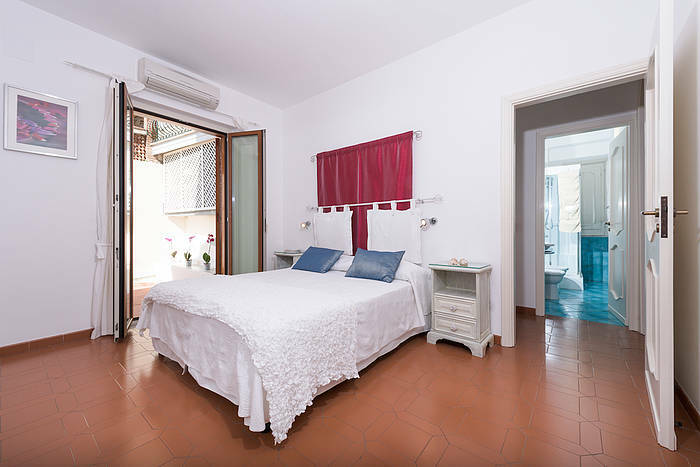 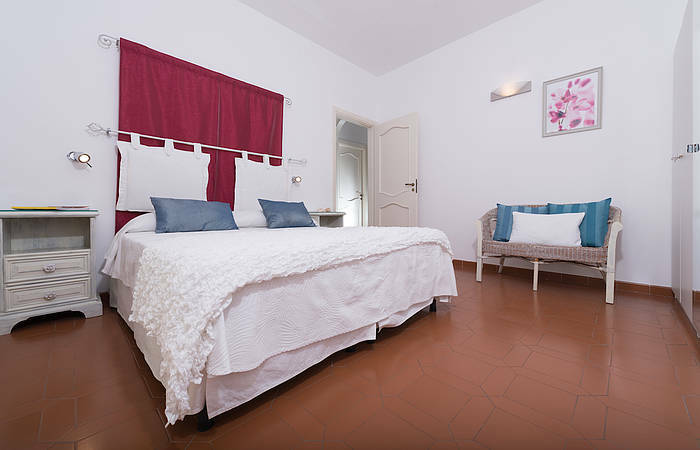 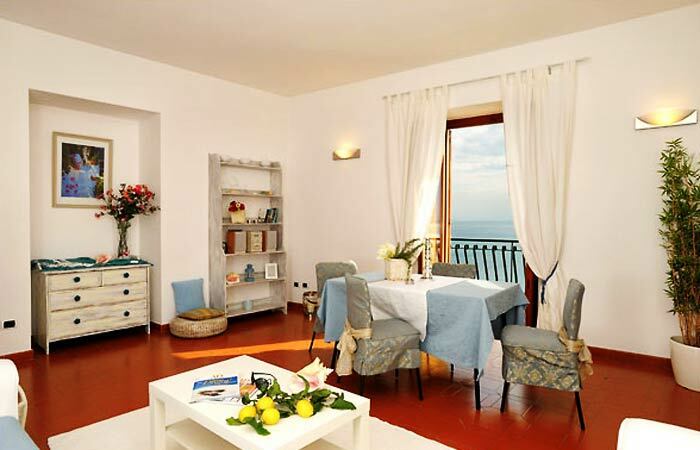 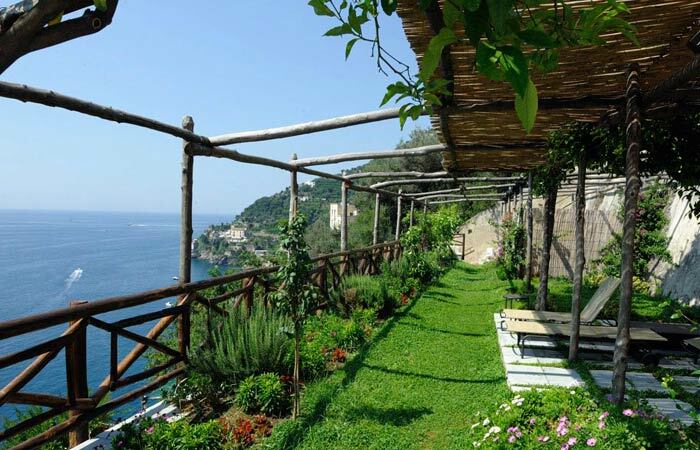 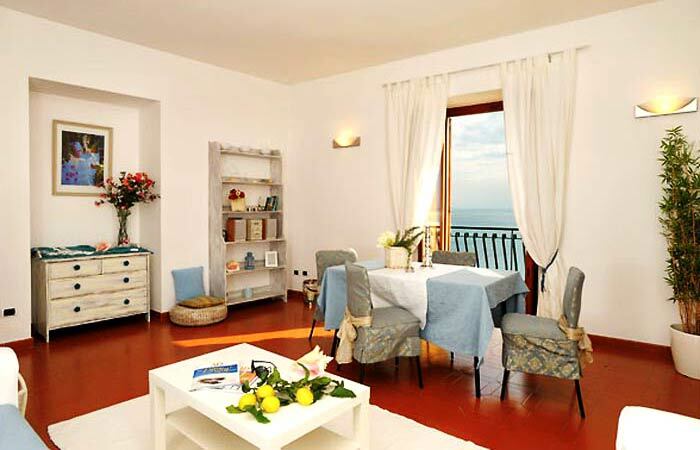 This unit, which includes a/c and internet, is set in the seaside part of Ravello. 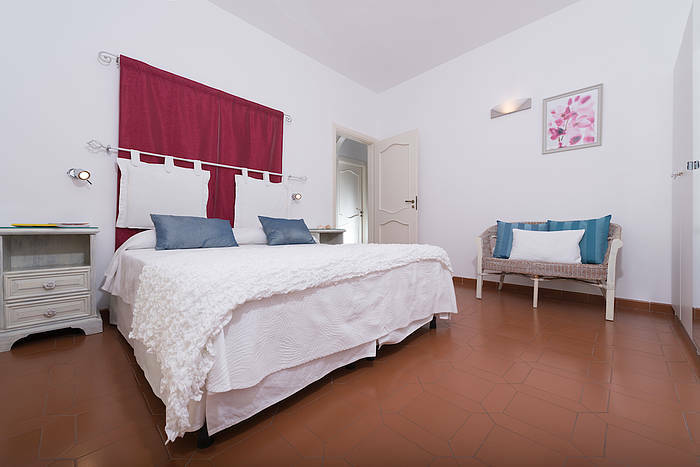 A gorgeous self-catering accommodation, Uva is fully-equipped with a living room complete with a double sofa-bed, two bedrooms (beds can be made up as one double or two twins), two bathrooms, a complete kitchen, and two private outdoor spaces with sea views and one barbeque. 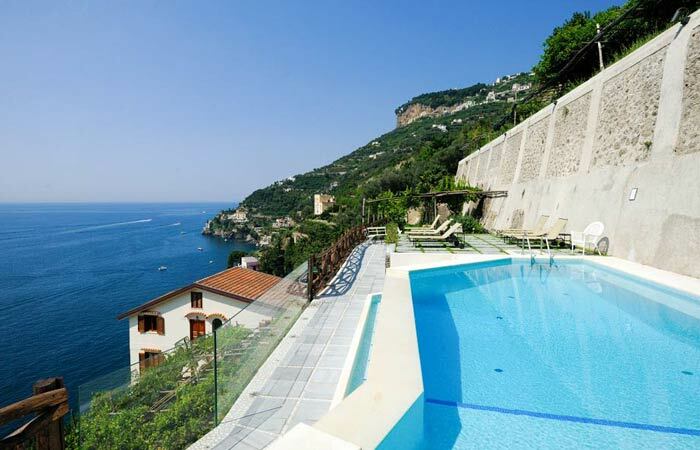 Guests staying at Uva can enjoy the on-site infinity pool with large surrounding sundeck. 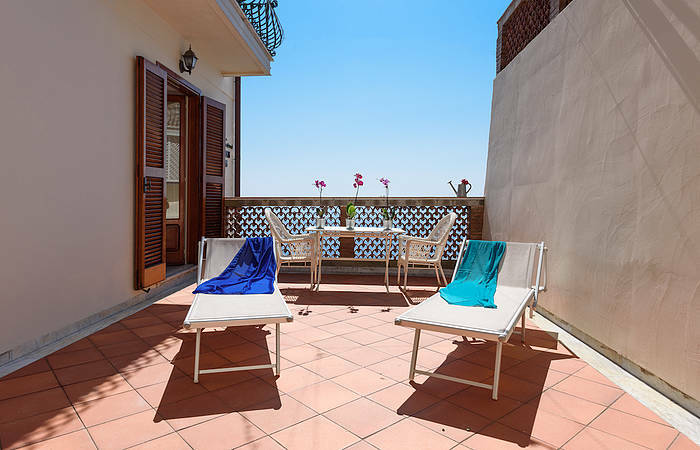 Sun loungers and beach towels are available for all our guests. 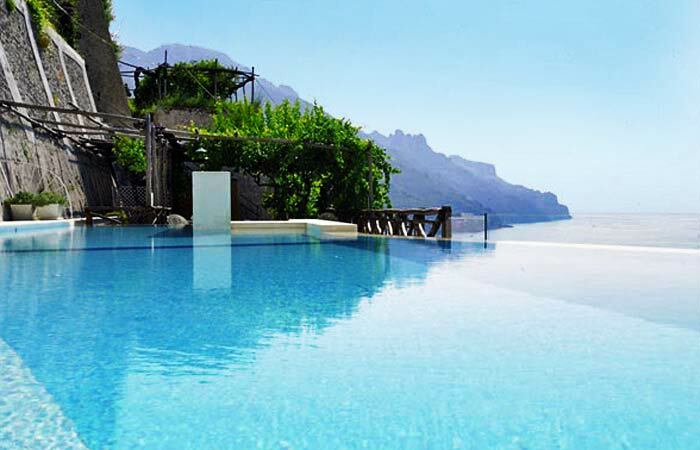 The pool area can be used from the end of March to the begin of November, weather permitting. 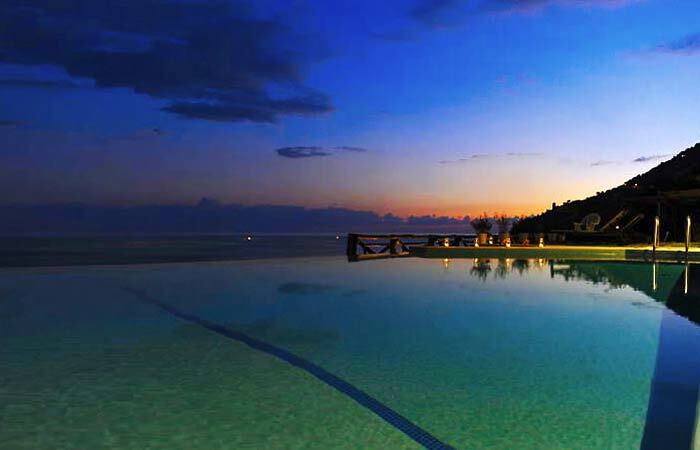 The infinity pool is usually heated during the medium-low season. The three balconies - each with stunning sea views - off the sitting-room make it bright and airy. 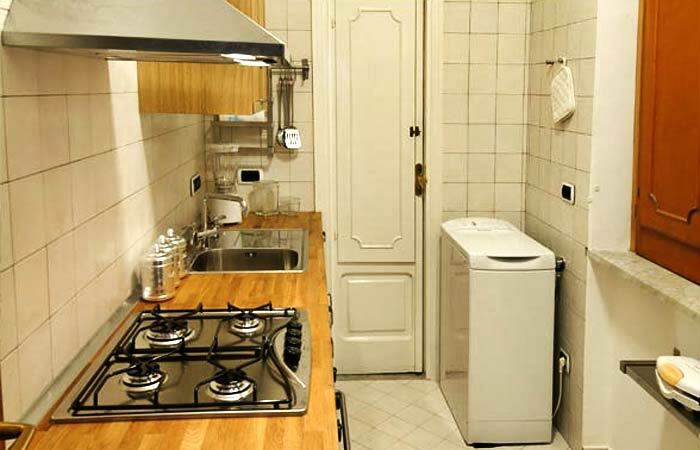 The full range of electrical appliances in the kitchen makes it suitable for cooking full meals. 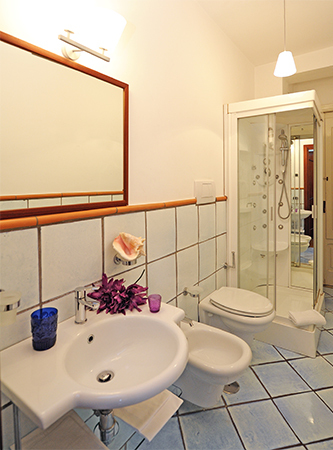 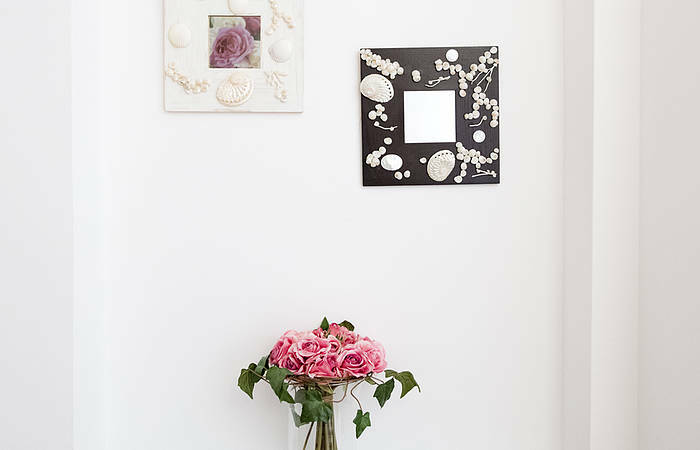 There are two elegantly decorated bedrooms, one with en suite bathroom. 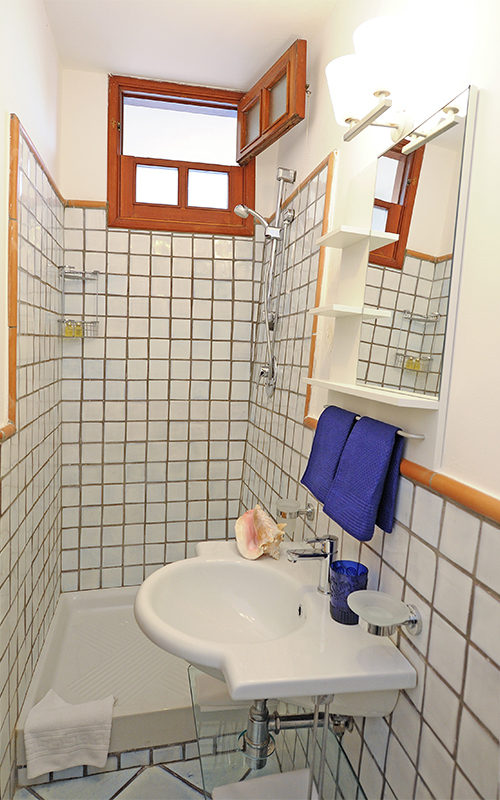 Both the en suite and second bathroom (which has a jetted shower) are tiled with hand painted Vietri majolica. 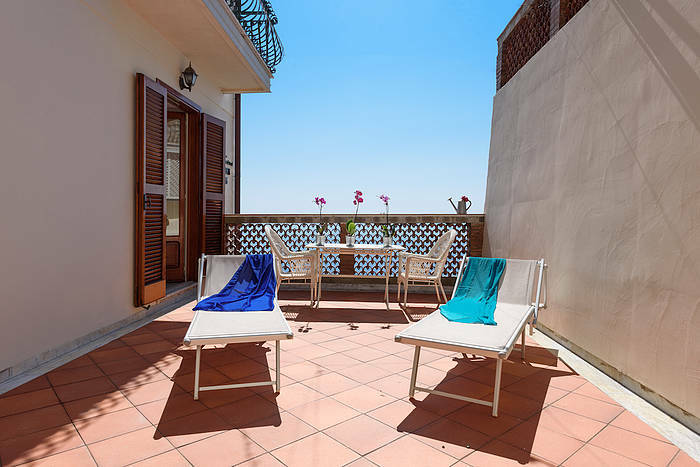 Ideal for both al fresco dining and sun bathing, Uva's two private outdoor spaces are furnished with tables, chairs, and deck chairs. 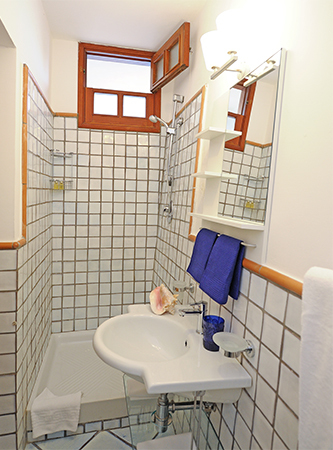 Uva boasts a dishwasher, a washing machine, heat and air conditioning, and high speed internet access among its amenities. 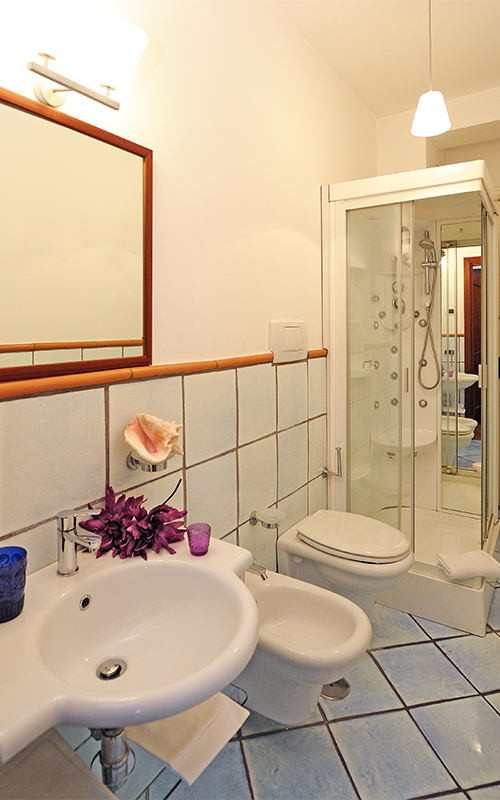 There is garage parking available at a rate of ¤20.00/day. 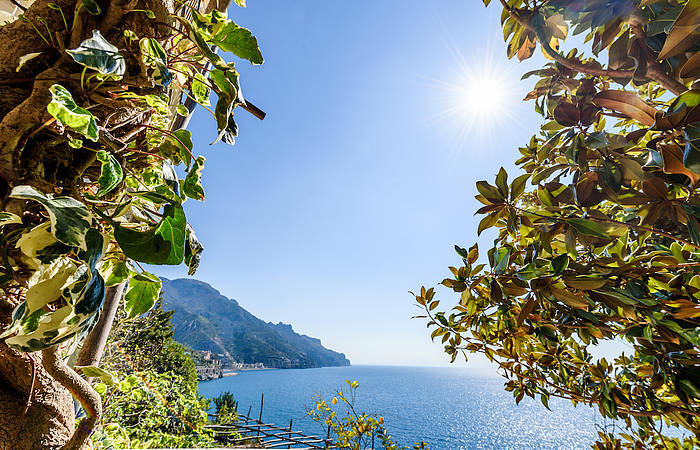 Marmorata, the section of Ravello nearest the sea, is one of the most picturesque stretches along the Amalfi Coast and is where Uva is strategically located. 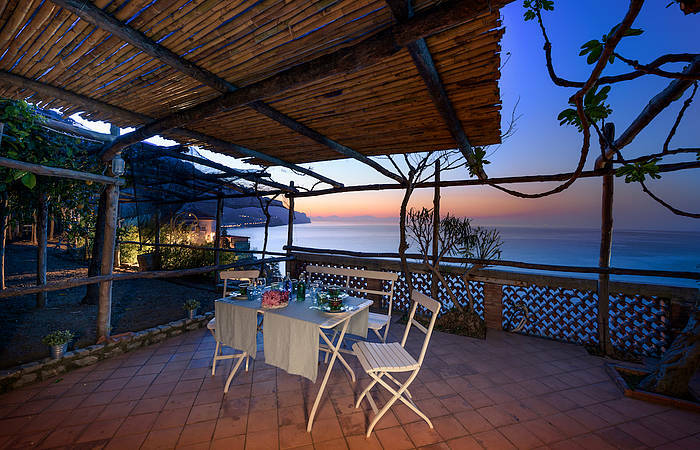 Though in Ravello, Uva is only 1.5 miles (2.4 kilometers) from the town of Amalfi. 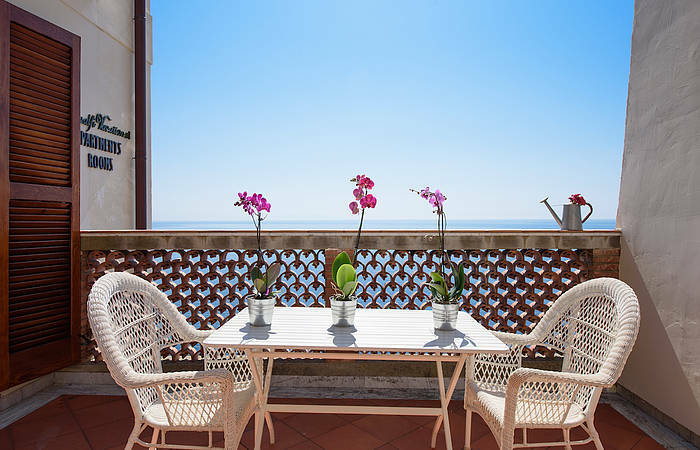 In just about 8 minutes by car (or bus: the stop is just meters from Uva), guests can reach this town, the most important along the coast and the hub of the coastal public transportation. 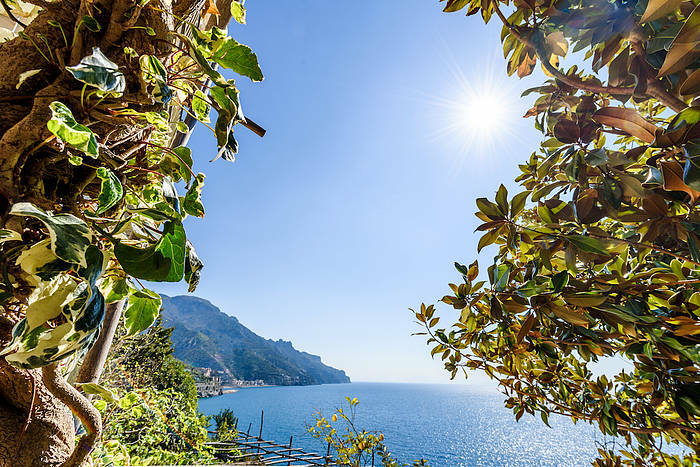 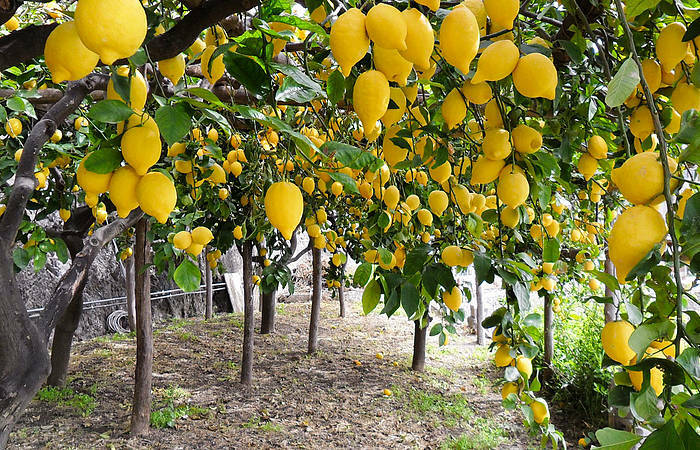 In addition, in less than ten minutes by foot or two minutes by car&bus, visitors can reach the pretty village of Minori, with beaches, grocery stores, restaurants, and shops. Ferries for Amalfi, Capri, and Positano also leave from here. 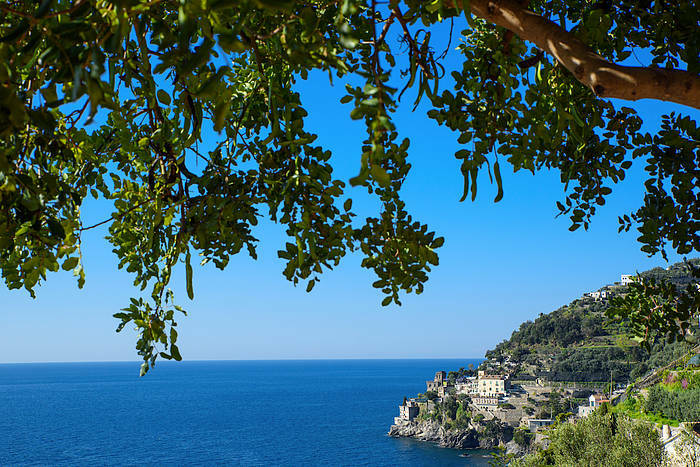 Uva is perfectly located for daytripping to the famed Amalfi Coast villages and for touring the Pompeii and Hercolaneum Roman ruins. 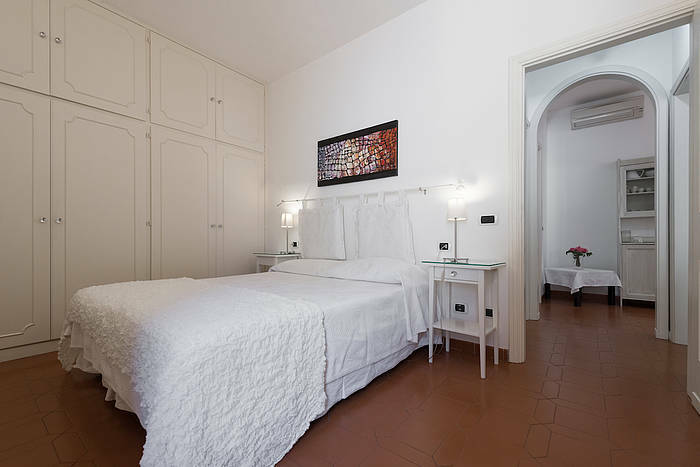 For more about Minori, click here. 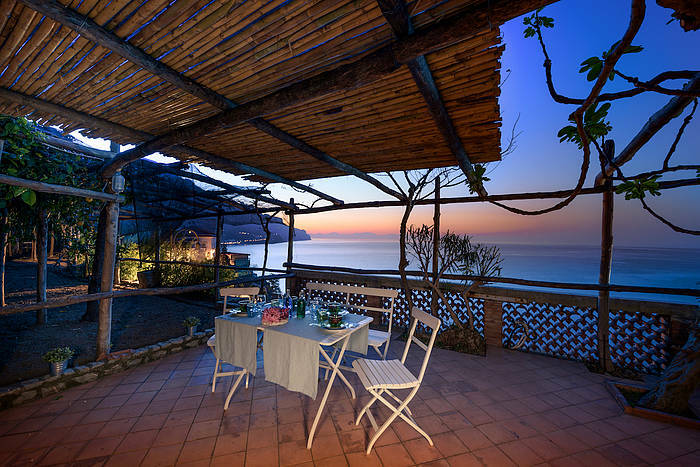 Nearest airports are Naples (1,15 hour drive) and Rome (3 and a half hours drive).